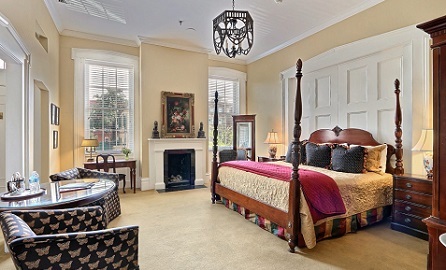 Deciding on the Presidents’ Quarters Inn as your Savannah bed and breakfast of choice means you are making the decision to settle down for a few days in Savannah’s historic downtown. 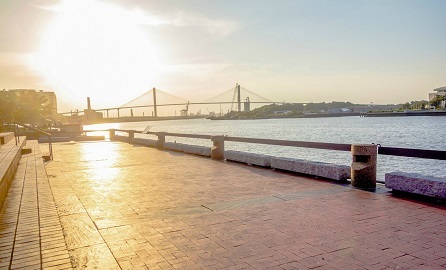 While there is plenty to see in the downtown Savannah area, the great part about the city is that you are near the ocean and have the option to relax at the beach. 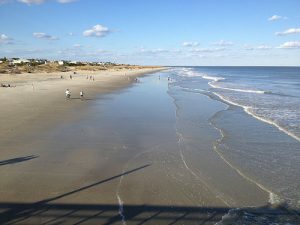 When most people think about Savannah, GA beaches, the first one that comes to mind is the beautiful Tybee Island. However, with a little bit of exploration, you can spend a day at some other beaches, as well. Tybee Island is a quick trip from downtown and provides beachgoers everything they are looking out of a beach trip. All five miles of the beach (including riverfront and beachfront sections) are open to the public and provide the perfect backdrop for a well-deserved day of relaxation. When you need a break from the sun, just take a walk to one of the dozens of restaurants or bars to grab a bit to eat or quench your thirst. And if a day’s worth of fun isn’t enough for you, stick around at night and check out some live music near the beach at a local joint. Tybee Island is the most well-known and most visited beach in Savannah, but others exist that provide an adventure all of their own. One of those beaches is Little Tybee Island. Unlike the name suggests, Little Tybee is about twice the size of Tybee Island. This escape is perfect for anyone trying to avoid a crowd and just be one with nature. You can only get to Little Tybee Island by boat, as it is an uninhabited preserve. In addition, you can take your tent and camp out. Just remember, Little Tybee is void of any amenities, so bring everything with you that you might need. Wassaw Island provides another stretch of uninhabited coastline that you can only access by boat. It is different from Little Tybee Island in that you can’t camp here. Maintained and protected by the U.S. Fish & Wildlife Service, Wassaw Island is available to visitors during daylight hours only. You are certainly able to relax on the seven-mile stretch of beach, but Wassaw Island is also ideal for someone looking to hike around and explore the barrier island. Regardless of which of the Savannah, GA beaches you choose to visit, you will have the option to make the Presidents’ Quarters Inn your resting grounds for the trip. 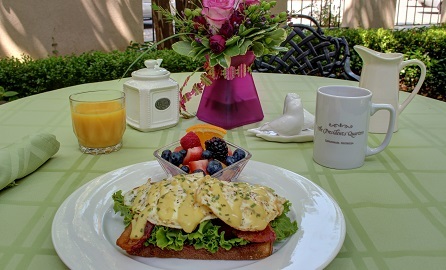 Before you head to the ocean for the day, Presidents’ Quarters will feed you a signature gourmet breakfast, and after you return, you will be able to stay in any of the 16 rooms that the Savannah bed and breakfast has to offer. You can book your stay today to help ensure that you will have a weekend you won’t soon forget.